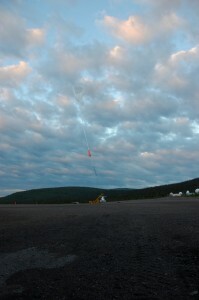 Last Wednesday at 17:20 a balloon was successfully launched from Esrange in Northern Sweden to an altitude of 30.5 km. 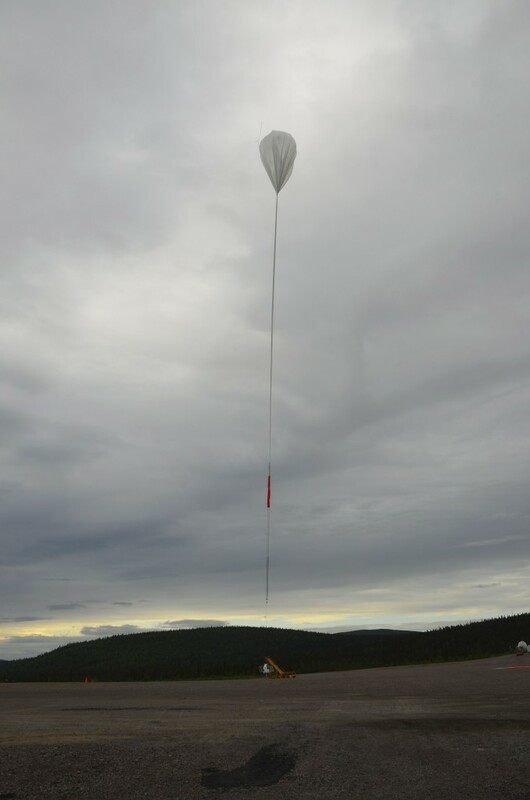 This balloon was carrying, besides test equipment from SSC, a 14 kg spin-off instrument from PoGOLite called PoGOLino. Elena Moretti is the first of the about 300 applicants who was selected to become an Oskar Klein Fellow this year. She comes from a little country-side town, called Cartura, on the south of Padua in Italy where she graduated in physics in 2006. She got her PhD in Trieste where she worked with the AGILE and Fermi experiments on GRBs. She developed a method that was used to calculate the flux upper limits on the GRB emission that was used in both experiments. 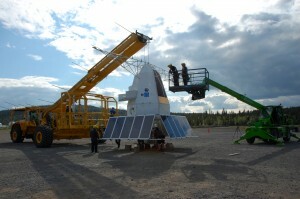 At 01:57 on Thursday 7th July 2011, PoGOLite was successfully launched from Esrange. It was a beautiful sight. About an hour after the launch we are now at an altitude of 20000 metres and climbing steadily. We have activated the polarimeter and all is OK. 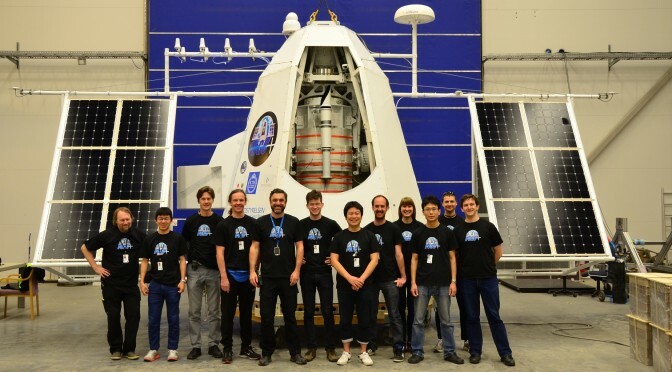 So far, so good... We are now working through our in-flight check-lists and will soon start to position the gondola for first observations of the Crab.